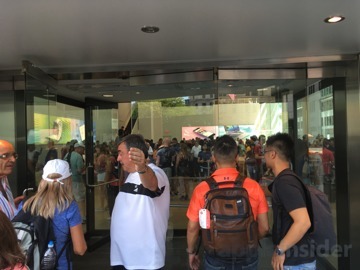 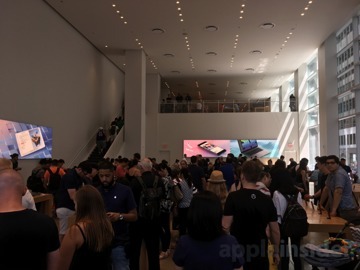 Apple has pulled the glass completely off the underground venue for the New York City Fifth Avenue Store and opened up a temporary location right next door. 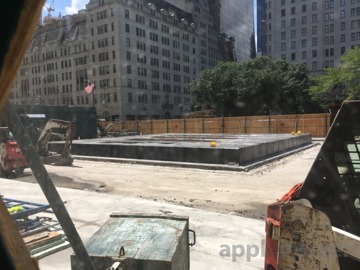 AppleInsider visits the construction site, and the temporary store. 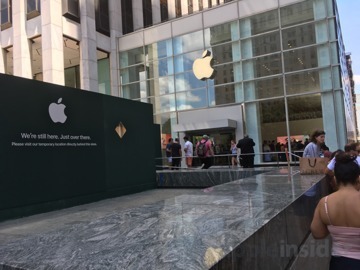 Renovations at the Fifth Avenue store have been underway since Jan. 20. 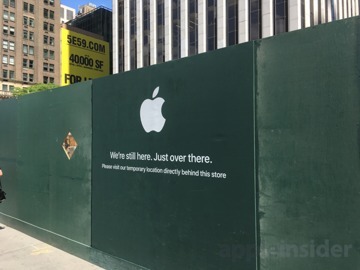 The outlet will more than double its underground footprint from 32,000 square feet to 77,000, better coping with foot traffic, and likely expanding event possibilities even without including the Beats 1 studio that will be included at the location. 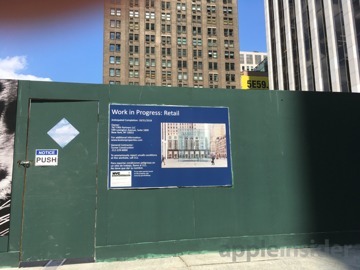 Apple is operating a temporary storefront out of a former FAO Schwarz, as seen in the pictures. 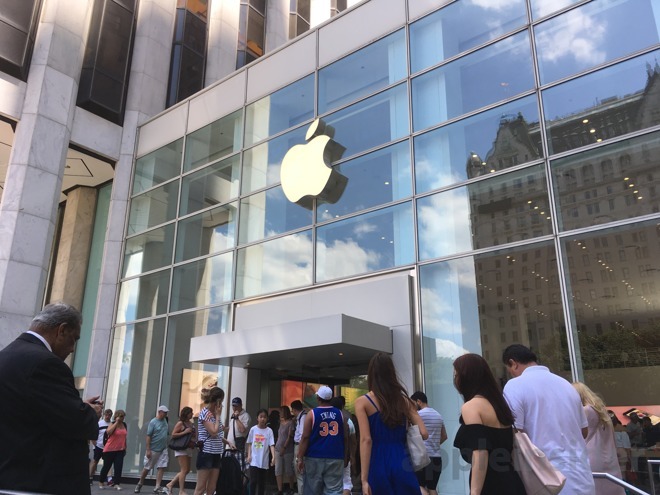 At one point Apple was rumored to want the space permanently, feeling "entitled" to discounted rent because of the foot traffic its Fifth Avenue location brings in to all the surrounding merchants, and the consequent increase in rents able to be charged. 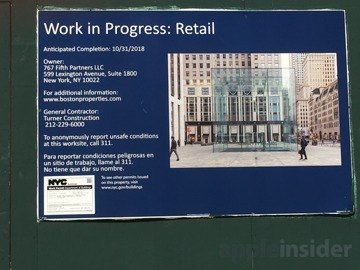 According to signage posted at the location, construction is expected to wrap up around the end of October 2018.